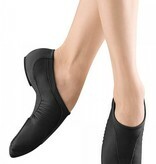 The perfect competition jazz shoe, reflects curve of the instep with glove-like fit, and low profile. Arch hugging neoprene stretch satin arch and soft leather upper. Embossed pleat detail accentuates arch, moldable suede front sole for feel-the-floor action, perfect for spinning and turning. New low profile heel to get closer-to-the-floor feeling. 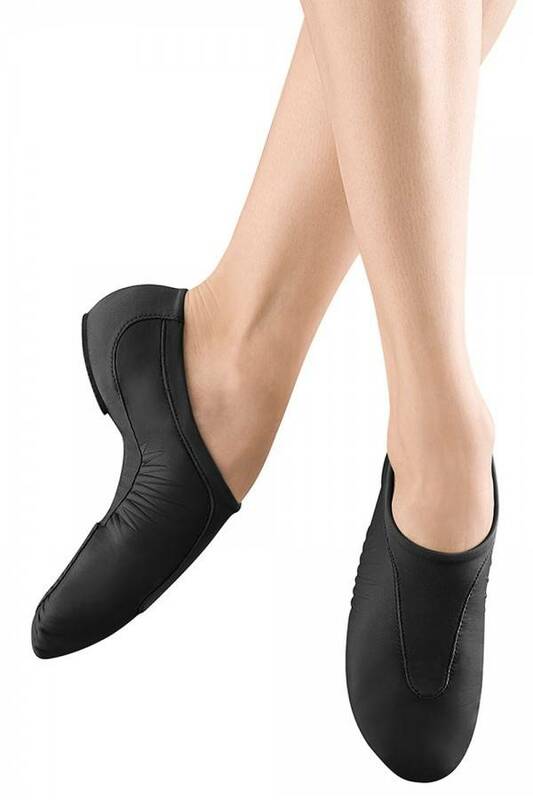 Gives the dancer optimum control for stopping. Split sole design.